Black History Month may be ending, but black history continues to be made every day. The people who will write the next chapter just keep on striving. And Detroit, in particular, often feels held together by the passionate individuals who wake up every day determined to make it a better place to live. Take the eight women below, identified with the help of the Detroit Urban Innovation Exchange (UIX), a local initiative that highlights people interested in transforming the city. Through food and music, engineering and education, these women are using their skills to find new ways to remake their communities. Read on to see their inspiring projects. And who knows? In a few decades, it might be their names in the history books. jessica Care moore is proving that black women can rock. For poet-artist-musician jessica Care moore, it's completely normal to be putting out a new book of poems, running a press, and working on her jazz record, all while planning a music festival. "I think people get stuck in a box, and that's what I don't want to be as an artist," she told The Huffington Post. When moore started Black Women Rock! in 2004, it was a chance to give a voice to herself and other female musicians who don't fit in boxes. Inspired by singer the Betty Davis (who was briefly married to jazz legend Miles Davis), the music and art festival will take place this March. moore said that black women in particular who make music outside mainstream genres tend to struggle to find acceptance in the music industry. "We need those spaces," she said. "We need to not be the openers. Everyone is the headliner." Devita Davison is turning small-time cooks into restaurateurs. Detroit is full of small food startups. You can find jam, cookies, soup and sushi made in individuals' kitchens and sold out of homes, in farmers markets and at catered events. Devita Davison is helping home cooks expand their businesses with Kitchen Connect, which gives chefs access to resources and commercial kitchen space in their neighborhoods. "We're taking underutilized spaces like church kitchens, we're turning them into incubators," Davison says in the UIX video produced by Detroit Lives!, a local film production company. "Here is where these budding food entrepreneurs can find a safe space, a low-barrier-of-entry space, where they can now test out their product. And then what we're hoping to do is, as they graduate out of Kitchen Connect, they'll go on to contribute to Detroit's vibrant economy." Audra Carson is battling blight. Photo via Audra Carson/De-Tread's Facebook page. Abandoned tires might seem like a minor issue among all the problems that Detroit faces. But illegally dumped tires litter neighborhoods all over the city, and Audra Carson is determined to do something about it. She started the rubber recycling business De-Tread to find solutions to tire waste, and has focused on the Osborn neighborhood. "We clean up tires, but we do it in a way that empowers residents, it engages residents, it gets the residents physically committed to the beautification of their neighborhoods," Carson said in a video about De-Tread. Cecelia Sharpe is putting a new spin on classical music. Cecelia Sharpe started the Urban Stringz II Youth Ensemble, a music camp for kids, out of her mother's living room in 2007. The program began as Sharpe sought out ways to teach music that resonated with her students. "I started teaching music to them in ways they could relate to by adding rhythm -- hip-hop beats -- to simple scales," she told UIX. "I was like, 'If this is what they like, then why not turn that into the way they learn?'" "That's what we're all about, not just putting an instrument in students' hands, but ... building them up as people, learning how to work together and giving them those tools that they need for life," Sharpe told Detroit Unspun. 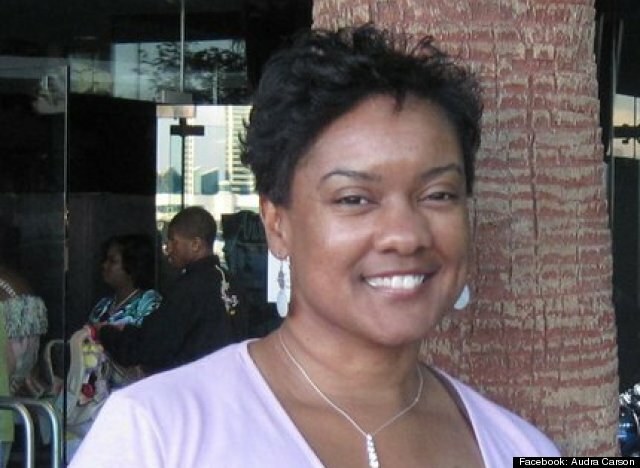 Delphia Simmons is giving a hand to the homeless. Delphia Simmons identified two of Detroit's biggest problems -- poverty and homelessness -- and came up with a solution to empower some of the city's struggling citizens. With Thrive Detroit, she started a street newspaper, a model that's been used in other cities. Vendors, or "micro-preneurs," get their first set of papers to sell for free, and then can buy additional issues for 25 cents, selling them at a dollar each for a profit of 75 cents per issue. "I do work in a homeless shelter, and I see firsthand how a little bit of money every month -- a couple of hundred dollars every month -- can keep someone housed. So, that was really the inspiration," Simmons told HuffPost in 2012. 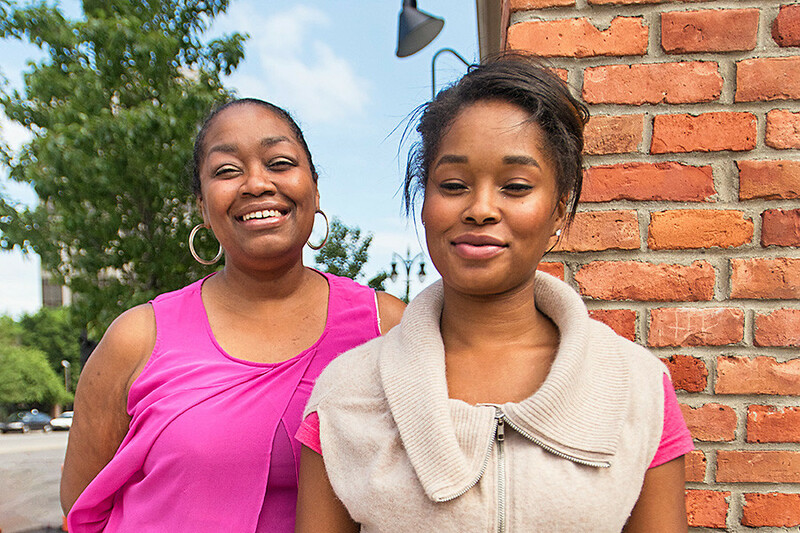 Monica and Adrienne Wheat are giving girls a high-tech future. Photo of Monica and Adrienne Wheat by Doug Coombe for UIX. When Monica Wheat tried to help her niece find a computer science class, they found that all the other students were boys -- intimidating and not the best way to learn for a young girl. Monica, a digital marketer with a background in engineering, teamed up with her sister Adrienne to found Digerati Girls. The program teaches a number of subjects to young women, including digital marketing, programming and Web design. It also brings in experts and entrepreneurs to teach and talk about their career paths, showing students what doors their new skills can open. "They came in thinking they would never be able to learn how to do this, and they came out trying to figure out what their next idea was going to be, to build an app or to be the next Bill Gates or Mark Zuckerberg," Wheat told HuffPost. "We spend a lot of time just talking about the different diverse entrepreneurs in the digital space, motivating them and just telling them what's possible." Rebecca Willis is making art out of abandonment. Rebecca "Bucky" Willis started Bleeding Heart Design to use art to engage and transform communities. Starting in two neighborhoods with high rates of abandonment and blight, she has involved residents in projects like turning a vacant field into a place for people to gather and perform. Above all, she sees Bleeding Heart Design as a way for designers to be more altruistic and inspire others to do the same. "If we really did realize that we belong to each other more, a lot of these things that depreciate communities wouldn't be happening," Willis said in a Detroit Lives! video for UIX. Read more stories of Detroit innovators working to change their city at the Urban Innovation Exchange.